Our home was built in 2005 - in ground swimming pool, easy to manage. Our home is comfortable, air-conditioned,clean, new and spacious. It has a large 'to die for' kitchen (all modern cons) with open plan dining/family room which opens to our pergola and swimming pool. The back yard is very private. Bar-b-q on pergola. Master bedroom has walk-in robe and ensuite with spa bath. Separate family bathroom and toilet. Three other bedrooms sleeping 2x double and 2x single, plus 1 futon in activity room. Separate lounge and formal dining room. We are John & Judi. We have never done a house exchange before but are excited at the prospect of starting many longer overseas adventures. Children are all grown up now and we have a large home to accomodate them when they come for their holidays. We are both in our 50's and looking forward to retiring full time. We would expect to be able to make arrangements well in advance of our expected departure date. We would like to get to know our prospective exchangers and have plenty of time to arrange flights and a do up a bit of a folder for you giving all the local information about our area and of course our home. We are looking to holiday in the Northern Hemisphere at the end of summer going into autumn (it will be late winter going into spring here - perfect weather before it gets too hot) and are open to the length of exchange. 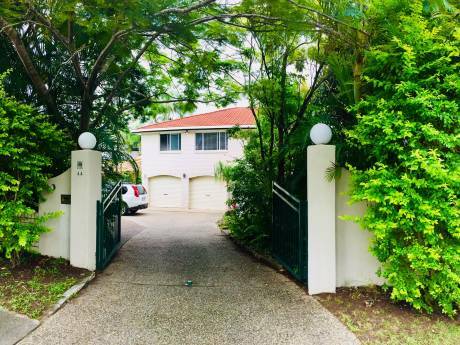 Our home is situated in a very friendly family neighboourhood close to shopping, beaches and tourist attractions (STEVE IRWIN'S AUSTRALIA ZOO is just up the road). 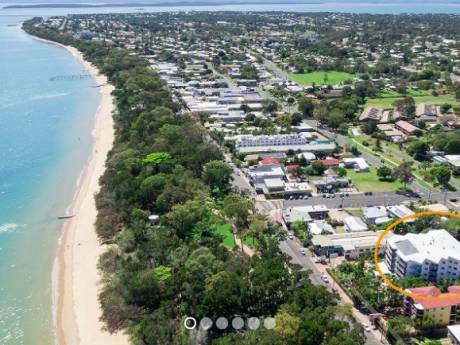 It is in one of the best spots on the Sunshine Coast - Caloundra. 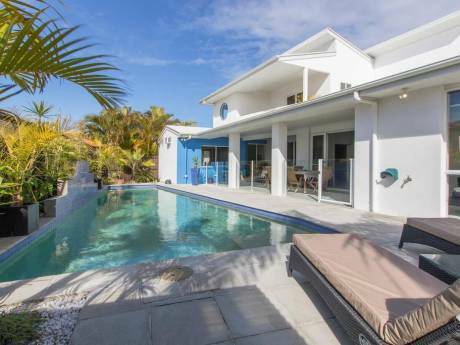 Only a short 1 hour drive to Brisbane and our nearest international airport. There is also a domestic air port available on the Sunshine Coast. Queensland has been described as beautiful one day...perfect the next. Our year long weather is glorious here (even our winters are very mild).